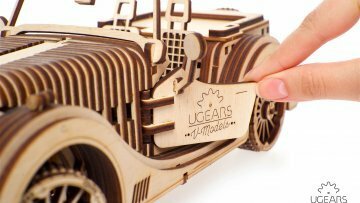 UGears Coloring Models sets were created with the thought of a younger generation of UGears models fans. 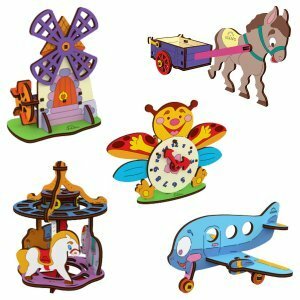 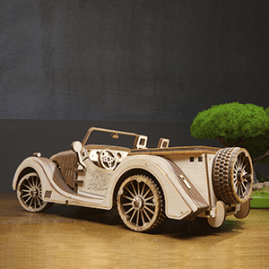 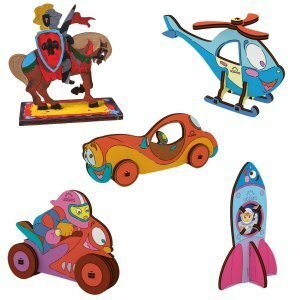 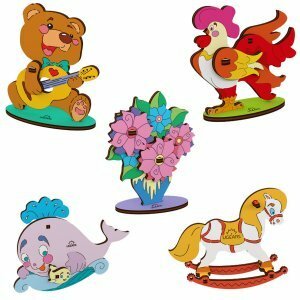 These individual sets of 3-d puzzles are simple in assembly and can be applied colors onto. 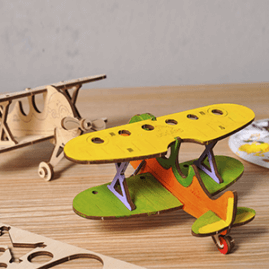 Made with natural high-grade wood materials, the Color and Build sets are perfectly safe for children, yet sturdy enough for little ones to grasp, hold, work and play with. 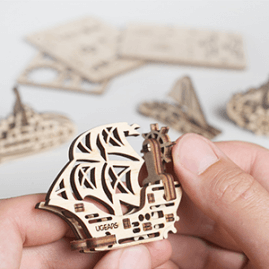 Like all UGears mechanical models, these coloring sets feature mechanical components, that makes playing with them more fun and exciting. 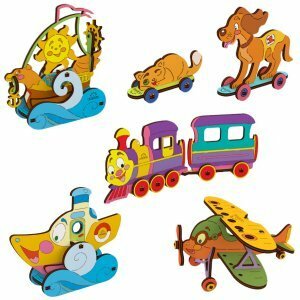 The selection of the characters in each set invites children to set up a role play, so essential in the development of creativity and imagination.